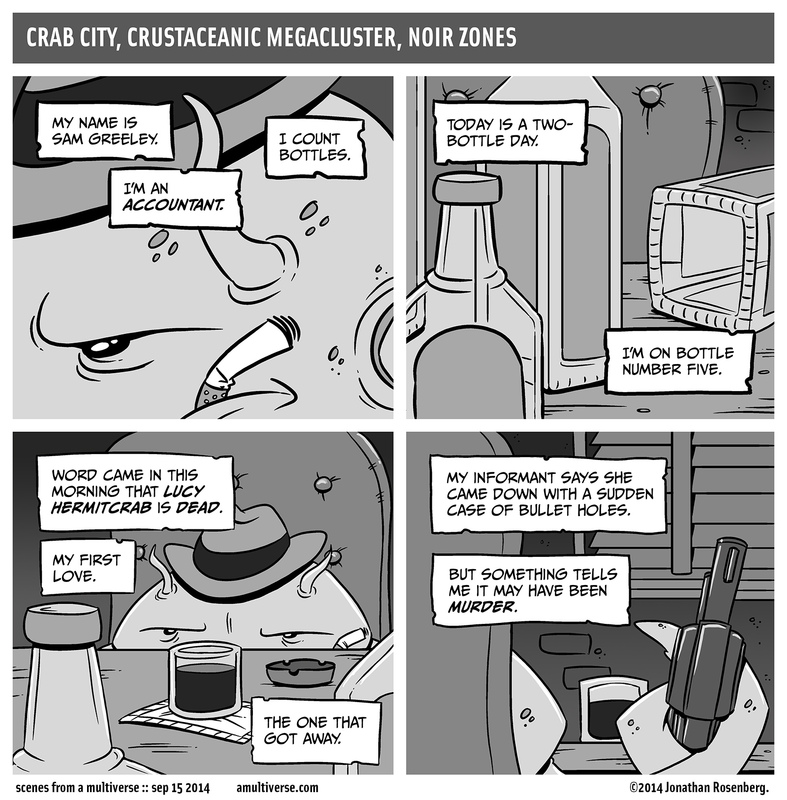 We’re travelling back to Crab City today for another dose of crustacean noir. What will happen next? Probably nothing. Hope you’re having a great Monday! If you’re not having a great Monday, stop doing that and start making it great.